The post eLearning Livestream – Advanced Actions in Captivate | April 8, 2019 12 PM EDT appeared first on eLearning. This course was originally created using Adobe Captivate 2017 but all the lessons are still applicable to Adobe Captivate 2019. In fact, in 2019 a few things are even easier to do. The post Giving Away My Captivate 2017 Course For FREE! appeared first on eLearning. The post Closed Captions in Your Captivate Video Demos appeared first on eLearning. 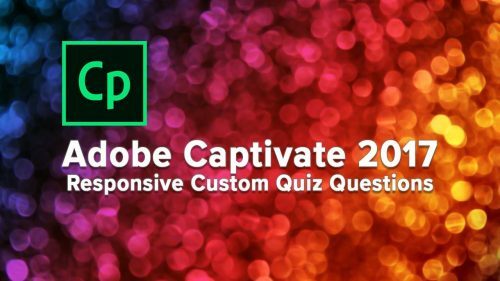 The post Adobe Captivate Sneak Peeks appeared first on eLearning.